Dr. Paul McCutcheon sees things differently. When a client makes an appointment for him to treat a dog because the dog is compulsively licking and chewing his skin, for example, the Ontario-based veterinarian doesn't immediately reach for a shot of prednisone. Instead, he starts asking questions. After more than 35 years as a holistic small animal practitioner, his focus is to identify the early signs of "unwellness" before they explode into full-blown disease. And, as he explains in his important book, The New Holistic Way for Dogs & Cats: The Stress-Health Connection, "there are important differences between the way mainstream medicine and the holistic way attempt to find out what's wrong when a pet is not well." Rather than rushing to eradicate the symptoms of an animal's illness, Dr. McCutcheon becomes a detective, seeking to identify what external forces may have tipped the balance in an animal's equilibrium and garbled the energy flowing through his "living terrain," compromising his immune system in the process. In this respect, he differs sharply from conventional veterinarians who reach for a quick fix--that shot of prednisone--to quell an animal's pain and discomfort, without worrying too much about how a steroid injection may simply further impair the animal's ability to heal. In a life devoted to animal healing, Dr. McCutcheon has emphasized the power of prevention, and it's here that he empowers animal caretakers by helping us to become mindful of the insidious and often unrecognized sources of stress that affect our animals in ways we never intended or imagined. In Dr. McCutcheon's view, "stress is the sole cause of everything that happens to our pets' health." "Because it is prolonged and persistent, chronic stress can wear a pet down over time. Its effects manifest differently in each individual. One animal may show it through a behavioral issue; another, through a gastrointestinal disturbance; and a third, through unexplained weight loss. It may also produce problems with organs or glands, such as heart disease or diabetes. . . Chronic stress can also compromise a pet's health indirectly. For example, she may become more susceptible to infections, and eventually to degenerative conditions such as cancer or allergies." Dr. McCutcheon challenges his clients, and his readers, to become their animals' stress monitors and to ask themselves how their own habits and lifestyle choices may be putting their animals' health at risk. He urges us to watch for subtle signs of unwellness--such as changes in our animals' behavior, appearance, energy level, habits, appetite, weight, and even smell--and regard them as early warning signals that something may be wrong. The New Holistic Way for Dogs & Cats offers a refreshing--and some would say, even radical--approach to protecting, preserving, and enhancing our animals' health. For those whose efforts to "cure" their animals from illness or chronic conditions have dead-ended, it offers options. And for those whose animals are facing daunting diagnoses, it offers hope. I highly recommend it. 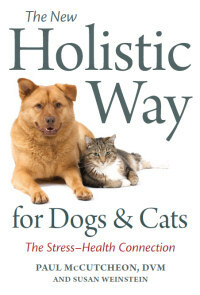 The next "Conversations with Animal Authors" teleconference will feature Dr. Paul McCutcheon, DVM, who will discuss his recent book, The New Holistic Way for Dogs & Cats: The Stress-Health Connection, on Wednesday, April 28th at 8:00pm (EDT). Dr. Paul McCutcheon is the founder of Toronto's East York Animal Clinic, and a former Director of the American Holistic Veterinary Medical Association. For more than 40 years, he has been helping small animals recover from the stress in their lives and the physical and emotional problems it causes them. In Dr. McCutcheon's view, stress is the underlying cause of every health problem that affects our animals, initially weakening their immune systems, and, if not alleviated, leading them down the road to "unwellness" and ultimately, to serious disease and chronic health issues. He looks at the underlying roots of an animal's affliction, and unlike mainstream veterinarians, seeks to treat not simply the symptoms but to understand and correct the dis-ease that is compromising the animal's health. In The New Holistic Way for Dogs & Cats, Dr. McCutcheon presents a revolutionary way of preserving, maintaining, and enhancing our animals' well-being, with the goal of leading them "toward a more vibrant state of wellness." He discusses his personal protocol for immunization (which probably differs from anything you've heard before), the role of homeopathy, the stress that can be created by an improper diet, the role of stress in cancer, the natural process of dying, and so much more. You won't want to miss this call! If you'd like to have an opportunity to chat with Dr. McCutcheon about your own animal, you can join the "Conversations with Animal Authors" call by dialing 712-432-0180 and entering PIN # 1063739 on Wednesday, April 28th at 8:00pm (EDT). Long-distance charges may apply. If you can't participate live but would like to hear the interview, it will be recorded and archived on this site within a few days after the event. Am I Boring My Dog? The question that Edie Jarolim asks is a good one, actually. We're so busy working and running around and doing what needs to be done that we don't spend enough time with our animals. For many hours each day, they are left to fend for themselves, often by themselves. And the time we do manage to spend with them tends to be devoted to the "must-do" activities, such as walking and feeding and grooming, rather than to more pleasureable--and even frivolous--pursuits. Are we really doing enough to keep them happy? Ms. Jarolim answers that question, and 99 others, in a book that brilliantly spoon-feeds serious information in the guise of light-hearted fun. Her adorable terrier, Frankie, is her steadfast guide and fact checker, and the raison d'etre for this compilation. When it comes to preventing boredom, for instance, the author has lots of creative suggestions, including audio-visual stimulation for stay-at-home-dogs, in the form of DVDs such as Bradley Joseph's While You Are Gone, featuring deer, ducks, geese, and wolves. But be sure to read the footnotes, in which Ms. Jarolim adds, "According to Wikipedia, performing with Yanni is one of Bradley Joseph's claims to fame. If you and/or your dog are allergic to New Age music, this may be irrelevant." For more active canines, Edie offers a list of "organized activities," such as Canine ("Musical") Freestyle, and quips, "If Frankie was more coordinated, this is the competition I'd most want to try." But then she admits, "I can't afford to pay off everyone who knows the truth: Frankie has an adorable pranching gait, like a tiny Lippizzaner stallion, while I'm the big ol' klutz." I like this woman's style. The next "Conversations with Animal Authors" teleconference will feature Edie Jarolim, who will discuss her recent book, Am I Boring My Dog? and her blog, Will My Dog Hate Me?, on Wednesday, March 31st at 9:00pm (EDT). Edie Jarolim is a seasoned writer, having authored three travel guides and numerous travel articles. She holds a Ph.D. in English literature from New York University, but she was admittedly clueless about dogs until she adopted an adorable terrier mix named "Frankie," who inspired her to learn everything she could. She has shared her new passion for all things canine in her book, Am I Boring My Dog? and in her blog, Will My Dog Hate Me? As a relative newcomer to the world of dogs, Edie Jarolim brings a refreshing perspective to the topic. She is an intrepid and tireless researcher, and even though her approach is often humorous, she also tackles serious subjects, such as aging and tuahanasia, with compassion and sensitivity, and always from the point of view of someone who loves dogs and wants the best for them. 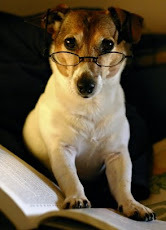 If you'd like to have an opportunity to chat with Edie Jarolim about your own dog, you can join the "Conversations with Animal Authors" call by dialing 712-432-0180 and entering PIN #1063739 at 9:00pm (EDT) on Wednesday, March 31st. Long-distance charges may apply. If you can't make the call but want to hear the interview, a recording of the call will be archived here within a few days after the event. Labels: Am I Boring My Dog?, dogs, Edie Jarolim, Will My Dog Hate Me? Celeste Yarnall and Jean Hofve want to change your mind. In their bold new book, The Complete Guide to Holistic Cat Care, they challenge our notions about the appropriate care and feeding of our cats, and make a persuasive argument that most of us are doing it wrong. Is there a cat person among us who has not lost a cherished feline friend to cancer, chronic renal failure, diabetes, leukemia, thyroid problems, or other ravaging diseases? When bad things happen to our cats, we fight the good fight and support them with drugs, prescription diets, surgical procedures, and love, but we may not have dared to ask the question: how could we have prevented this? In The Complete Guide to Holistic Cat Care, authors Yarnall and Hofve affirm not only that most chronic diseases can be prevented, they also tell us how. And they offer health-affirming prescriptions which, if we follow them, will enhance our cats' daily happiness quotient, and add many years to their lives. "It's vital to remember that cats cannot live on meat alone. There are many case histories of unfortunate cats who suffered and died from being fed only meat (or fish or liver). As an example, there is virtually no calcium in meat. A cat fed on a meat-only diet must satisfy its calcium requirement by stealing from its own bones, and ultimately can fracture a leg just walking across a room." One of the things I didn't know until I read The Complete Guide is that, contrary to what we've been led to believe, most fish is bad for cats. Yarnall and Hofve posit that "the fish used in canned pet foods usually includes bones and are high in phosphorus and magnesium, which can be an issue in cats with a history of urinary tract disorders or kidney disease." And, even more alarmingly, "there is a known link between the feeding of fish-based canned cat foods and the development of hyperthyroidism in older cats." The book has an excellent guide to "anti-aging supplements," and, equally important, a list of commonly used foods, ingredients, and other substances that are highly toxic to cats. Ms. Yarnall and Dr. Hofve recommend that you look for products that carry the National Animal Supplement Council seal. And that's just the beginning. It's not just what a cat ingests in the form of food that will shape his future, it's how he copes with stress. It's here that Yarnall and Hofve are at their best, with innovative tools and techniques to ease anxiety and boost our cats' immune systems. They advocate incorporating play therapy, massage, TTouch, Reiki, the Emotional Freedom Technique (EFT), flower essences, and even telepathy into your cat's routine. If you're thinking that you can't do any of those things because you don't know how, don't worry. The authors will show you. While The Complete Guide to Holistic Cat Care breaks with many commonly held assumptions of conventional veterinarians, it does invite the reader to have a reasoned conversation with her own practitioner, armed with facts, rather than rhetoric. Perhaps the most controversial section of the book deals with the topic of vaccinations. Citing studies by researchers Ron Schultz and Tom R. Phillips, the authors contend that not only is there no solid evidence justifying annual vaccinations, but that they actually do more harm than good. Indeed, there are studies that suggest "a causal relationship between the panleukopenia vaccine and the development of CRF (chronic renal failure)." And there is little debate about the causative role of the rabies and feline leukemia vaccines in the development of "malignant, fatal tumors called fibrosarcomas." "I recommend that you do not feed your cat (or eat your own meals) when he or you are stressed. Acute stress releases adrenaline, which shuts down the digestive system. When anxiety accompanies a meal, your food cannot be properly digested, so nutrients can't get into your cells and function properly. This can compromise the immune system, making you vulnerable to infection and degenerative disease. All of our digestive functions work best when conditions are pleasurable. It's a double-edged sword for you, the caretaker of your family and pets." How many times have you ever rushed home from work and, still in a harried state from your commute, literally thrown down the food for your cat (or dog, for that matter!)? I know I have. But after reading The Complete Guide to Holistic Cat Care, I won't do that anymore. My animals' lives might depend on it. 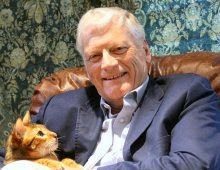 The next "Conversations with Animal Authors" teleconference will feature Celeste Yarnall, who will discuss The Complete Guide to Holistic Cat Care, which she co-wrote with Dr. Jean Hofve, during a free hour-long event on Thursday, February 25th 2010 at 8:00pm (EST). With a Ph.D. in Nutrition and a passionate love of animals, Dr. Yarnall worked with holistic veterinarian Russell Swift to create a line of all-natural food supplements, herbs, and homeopathics for dogs and cats, which are now sold through her website, Celestial Pets. She is the author of two previous books, Cat Care Naturally and Natural Dog Care. 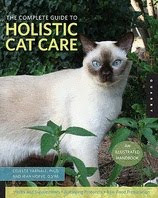 Since 1993, Celeste has conducted an 11-generation holistic breeding program with Championship Tonkinese cats, who are fed a homemade raw food diet of naturally raised meats and organic vegetables, along with Celestial Cats excipient-free whole food supplements. The vitality of these cats has improved with each generation, and almost all of the health issues usually observed in domestic cats have been eliminated. The Complete Guide to Holistic Cat Care will change, enhance, and extend your cat's life, if you implement its feeding, veterinary, and emotional support and healing protocols. And you may learn here that much of what you thought you knew about caring for cats is just plain wrong. You'll learn about how to use natural remedies, hands-on healing, aromatherapy, anti-aging supplements, and even feline "astromedicine," but most of all, you'll discover how to look at your cat in a completely different way. 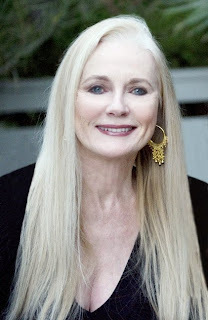 If you'd like to have an opportunity to talk with Celeste Yarnall about what to feed your cat, whether to vaccinate, or how to prevent and treat common life-threatening conditions, you can join the call by dialing 712-432-0180 and entering PIN #1063739 at 8:00pm (EST) on Thursday, February 25th. Long-distance charges may apply. If you're unable to participate live, a recording of the interview will be posted on this site within a few days after the event. Death. It's a subject we are loathe to contemplate. And even when we prepare for it, in the end, we're never ready. Inevitably, it comes too soon. And when it's the death of a cherished animal companion, the mourner's pain can be cruelly exacerbated by friends and associates who don't understand or sympathize with the magnitude of the loss. A person can feel terribly alone, and sometimes even imagine that she's losing her mind. But as Sid Korpi demonstrates in Good Grief: Finding Peace After Pet Loss, those who suffer in silence after the deeply felt death of an animal companion are neither crazy nor alone. There are many of us, and in a very real sense, the stories that Ms. Korpi tells about people who have loved and lost their animals are our stories, too. Having been inspired to tackle this daunting subject by the deaths of several of her own beloved dogs and cats, Sid brings a highly personal perspective to the process of caring for terminally ill pets, grieving after their deaths, feeling their presence after they've died, and making the choice to welcome a new animal. She also shares some interesting insights from other observers, such as the idea that "it is quite common for pets to pass away around the time of huge, family-life-altering events such as a death, birth, or divorce." "By simply being open to and actively/intuitively observant of the signs, one can receive amazing messages from the Other Side without the aid of a medium or possession of special psychic abilities of one's own. Conversely, if you are afraid, skeptical, or simply not willing or open to welcome such experiences, chances are you will never have them. What we believe shapes our experience of reality to a tremendous degree." One of my favorite stories in Good Grief pertains to the way in which Sid, and her husband, Anthony, came to adopt their Westie, Mortimer, after the death of their precious Westie, Ludwig. Mindful that they could not, and would not, ever set about to replace Ludwig, Sid and Anthony decided to "ask" Ludwig, and another departed Westie, Tuppence, to find them the perfect new dog. "We knew there would be cause for celebration and gratitude when we found this dog, not guilt and anguish, as might have been the case." And sure enough, just two days after they had made the request, they found a stray Westie at a far-away humane society whom they immediately recognized as having been sent by Ludwig and Tuppence. When Mortimer arrived in their home, even their cats welcomed him as an old friend. Sid includes a lengthy, practical section on the importance and therapeutic value of memorializing a departed animal in a way that will honor his life and his spirit and sometimes even help other animals. I remember that when I lost my first Springer Spaniel, Sarah, my sadness at her death propelled me to enlist as a volunteer for New England English Springer Spaniel Rescue. I soon recognized that in helping dogs who needed someone to love them, I was helping myself, too. What I liked best about Good Grief: Finding Peace After Pet Loss, is that Sid Korpi approaches her subject with compassion, kindness, empathy, and even a sense of humor. She demystifies this taboo topic, and makes it a lot less scary. If you're mourning the death of a much-loved animal friend, you'll find comfort here. 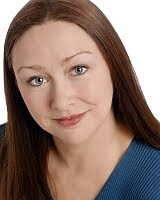 The next "Conversations with Animal Authors" teleconference will feature Sid Korpi, who will discuss her recent book, Good Grief: Finding Peace After Pet Loss, during a free hour-long event on Wednesday, January 27th, 2010 at 8:00pm (EST). Sid Korpi is a Minneapolis-based writer, editor, actor and ordained minister who loves animals and understands the pain that ensues after the death of a beloved animal companion. After experiencing the loss of her cherished Westie, Ludwig, Sid decided to channel her grief into the creation of a fact-filled resource that would gently help others cope with their own losses. 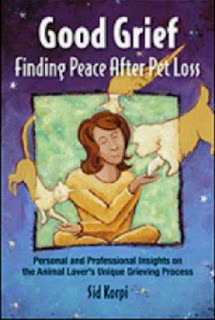 The result was her comprehensive collection of stories, personal accounts, and professional advice: Good Grief: Finding Peace After Pet Loss. What's so wonderful about Sid's book is that she not only understands the searing emotional pangs of the often-lonely grieving process, but she also offers both consolation and coping techniques that can illuminate the tear-stained path to quiet acceptance and to an openness to love again. If you'd like to have an opportunity to talk with Sid Korpi about what you felt and experienced after your own pet's death, you can join the call by dialing 712-432-0180 and entering PIN #1063739 at 8:00pm (EST) on Wednesday, January 27th. Long-distance charges may apply. If you're unable to participate live, a recording of the interview will be posted here within a few days after the event.